Ticks are a major cause of morbidity and mortality (illness and death), and they're out in force again this year. Tick season is well and truly here. The potential negative impact of the paralysis tick cannot be underestimated: not only is the paralysis tick responsible for hundreds, if not thousands of deaths along the East Coast of Australia, it also causes significant suffering. 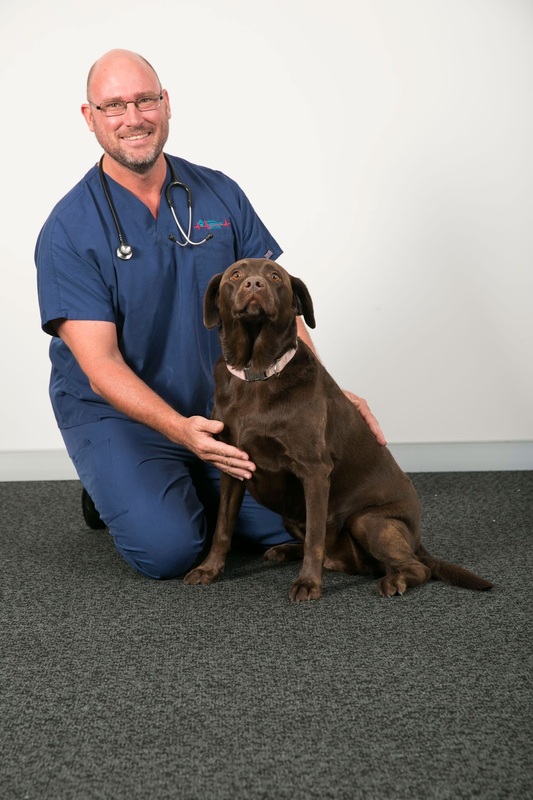 Dr Rob Webster is a veterinary specialist and director of the Animal Emergency Service in South East Queensland, aka tick central. He has seen more cases of tick paralysis that any vet I know, often at the more severe end of the spectrum. Tick paralysis is preventable, but Dr Webster and colleagues argue that everyone – veterinarians, nurses and pet owners – need to be more proactive about giving ticks the flick. Dr Rob Webster and patient. How commonly does your clinic treat tick paralysis? We have four emergency vet practices in South-East QLD and each of them treats 2-10 primary accession cases of tick paralysis each day from September to January. We have mechanical ventilation capability at each of the hospitals and usually there is at least one patient receiving mechanical ventilation at all times during ‘tick season’. We have had up to 5 patients being ventilated at the same time. We had a significant decrease in tick patient numbers in 2015, and fortunately it looks like the trend will continue this year. 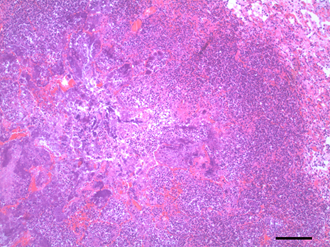 Why can ticks present such a diagnostic challenge? Tick cases are challenging because of the multi-systemic effects, which may develop before paralysis, and the difficulty in confirming the diagnosis. Tick paralysis patients may present with disorders of the gastro-intestinal system (vomiting/regurgitation/gagging/choking), the respiratory system (pneumonia, upper airway obstruction), and the neuromuscular system (ataxia/paresis/paralysis). These signs are often mild on initial presentation and don’t prompt the clinician to think immediately of tick paralysis. 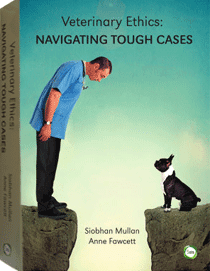 I think most of the PR and professional problems ticks cause for vets occur because the disease goes from difficult to diagnose to very easy, when the patient becomes paralysed. 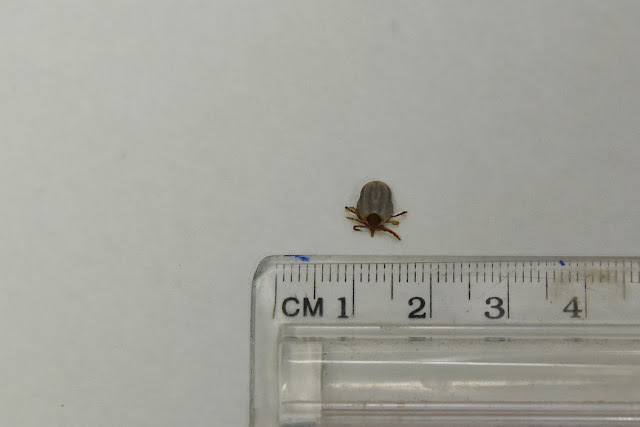 Owners may make the diagnosis at home themselves when they find a tick after a trip to the vet, or even worse take the pet to another vet where the tick is found straight-away. This makes the vet appear unprofessional: How difficult can it be to find a tick? 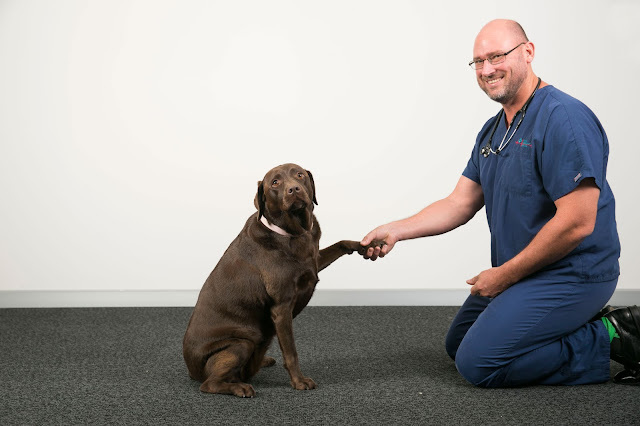 I think the most important thing vets can do is continually emphasise to clients that it is impossible to consistently find all ticks in a pets coat. We need to put the onus back on owners to use tick prevention. You work in an emergency clinic that sees emergency as well as referral cases of tick paralysis. How severe can it get? Patch was a young Dalmatian with grade 4D tick paralysis who had cardiac arrest during treatment. He was ventilated for 120 hours, recovered with persistent neurological deficits and took 6 months to walk again. Tick paralysis is horrible. I have no doubt it is the leading cause of preventable deaths in pets on the East Coast of Australia, it costs owners a heap of money, leads to frequent board complaints, and contributes to professional burn-out amongst veterinary staff who dread ‘tick season’. Someone in this photo is contemplating a treat! What are the potential secondary and long term problems associated with tick paralysis? 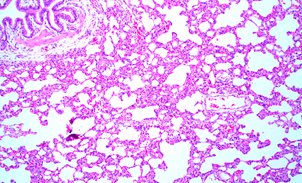 The most important secondary problem is aspiration pneumonia. The high prevalence of this complication in dogs with tick paralysis, makes the condition much more challenging to treat. If dogs didn’t aspirate the condition would be much easier to treat and more predictable in outcome. Pure NMJ paralysis patients are also much easier to ventilate in severe cases. I think the predominant difference between dogs and cats with tick paralysis is the prevalence of pneumonia (dogs>>cats), and consequently cats have a much higher survival probability in early stages. Long term problems are not well documented. There is a chance of sudden cardiac events (purportedly due to prolonged Q-T interval), during the weeks after the discharge from hospital. Some owners report that working dogs are never quite the same after tick paralysis, lower energy levels and never quite as athletic; but no studies have been performed into this aspect of the disease. Have newer tick products made a noticeable impact on the incidence of tick paralysis? Why do you think this is? There has been a significant reduction in tick patient numbers (dogs) at my practice in 2015, and this trend is continuing in 2016. Anecdotally, every other practitioner I’ve spoken with reports the same thing. I believe that the availability of effective prevention has been key in the reduction of case numbers. Not only does [Bravecto] work but more clients are using it. What can veterinarians do to reduce the incidence of tick paralysis cases? Talk to every client about the severity of tick paralysis, and the high prevalence in certain geographical regions. ‘Tick paralysis’ doesn’t describe the suffering and pain caused by this disease. Explain in detail the suffering it causes, the high cost of treatment, and the fact that dogs die by suffocating on their own vomit. Sell Bravecto (or alternate effective prevention) to every client with a dog in tick areas. Point out that almost every veterinarian uses an isoxazoline on his or her dog. We need to put the responsibility for tick prevention back on the client. We stress over tick patients, we suffer with them, we agonise about the decisions we make in their management (when there are often no good decisions to make). We often discount the bill- not charging for our time and angst, which impacts all aspects of our lives. We need to be able to say to clients: ‘You can prevent this. If your pet develops tick paralysis I will do my best, but this is a severe disease, and it could kill your pet. Treatment is expensive. Don’t neglect to use prevention then complain later’. Vets need to paint a picture of paralysis ticks as the Grim Reaper. Keep him at bay by using prevention. Thank you Dr Webster. Professor Richard Malik is another veterinarian calling for more action on the tick prevention front. You can read his article in The Conversation here. Declaration: Dr Webster is promoting the product Bravecto, but there are alternative tick preventatives available. Please consult your veterinarian for specific advice.